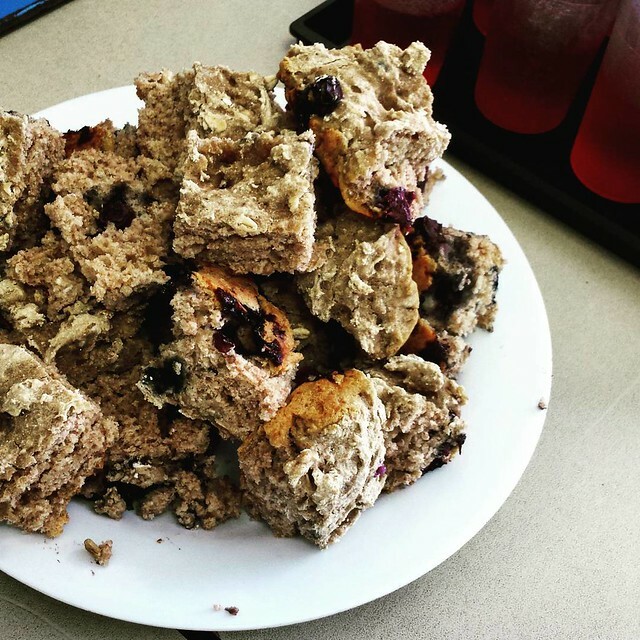 Métis Celebration Bannock | What Smells So Good? Preheat oven to 350°F and line a 9x13” pan with parchment or greased foil. Mix together flours, oats, cornmeal, baking powder and salt in a large bowl. Stir in the oil, maple syrup and water until a thick dough forms. Stir in the blueberries. Knead in the bowl for about 1 minute, until the dough is not too sticky. It does not need to be perfectly smooth. Bake for 35-40 minutes. The bread should be slightly brown and springy to the touch. Turn out onto a cutting board or cooling rack and slice while still warm.